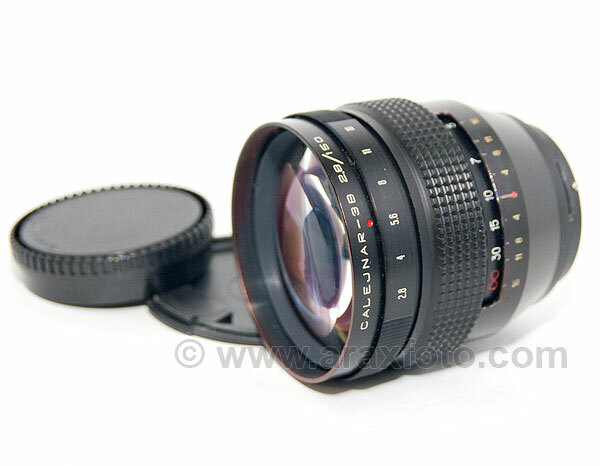 MC Kaleinar-3 (Calejnar), 2.8/150 long-focus lens for medium format Kiev camera. 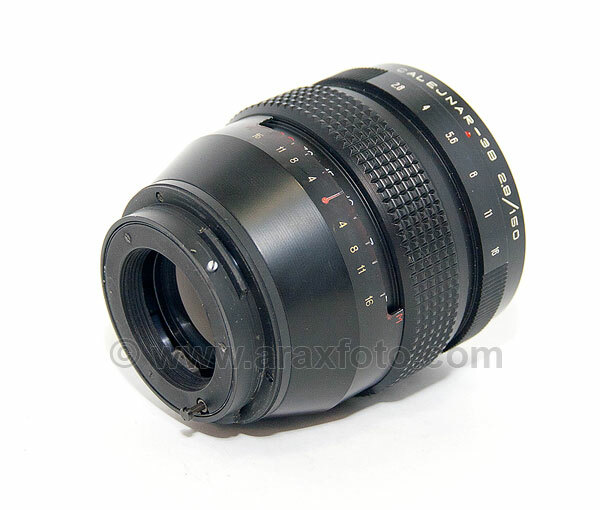 MC Kaleinar-3 (Calejnar), 2.8/150 long-focus lens for ARAX. This great lens made from highest quality glasses but originally without multi-coating (MC). We made custom Multi-Coating on ARSENAL factory. The sophisticated seven-layer dielectric coatings are vacuum-deposited on glass-to-air surfaces to reduce internal reflection, increase transmission efficiency and enhance contrast. Great for portrait pictures. The price indicated for mint, never used lens. Comes with front and rear cap, protective case. This lens was multi coated and tested by our company. All factory defects and deficiencies corrected.